Look at this…just look at it for a few seconds. It’s our number two White Trash Carny Ride, Hi-Roller. This may be the perfect WTCR, combining a sketchy theme with a nightmarish motion sure to make all but the strongest of stomachs queasy. Hi-Roller is a ride manufactured by Larson International. Hi-Roller seems to be a re-theme as the model offered by Larson is called Crazy Train. The ride is comprised of an oval track mounted onto a frame. Riding along the track are five triangular-shaped cars that hold four people each. Hi-Roller is themed with a casino motif complete with slot machines, cards, and other gambling paraphernalia. Crazy Train models just go with a generic theme. Personally, I’m partial to the Hi-Roller theme. It’s actually not bad for this type of ride as it acts as a double meaning (allowing a casino theme as well as accurate description of the ride.) It also gives the ride a tasteful WT Carny Ride flare. 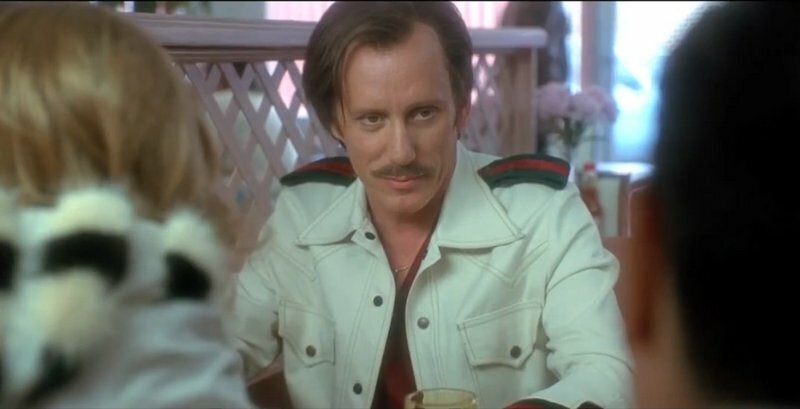 I just wish there was artwork of Lester Diamond from Casino somewhere on the flash to add the cherry on top so to speak. Riders sit facing the car in front of them. When going around the turns, each pod comes amazingly close to the other. The front of each pod is adorned with plexiglass which this gives riders an up close view of the opposing passengers horror. Also, considering that the pods flip open, I’d hate to see one of these stall in a turnaround, effectively trapping passengers. However, I have a feeling that scenario has been thought of and that the train can be rolled back. Riders enter one of the five, four person cars and are secured via a padded lapbar. The train begins to plod around the track like a slow, oval version of Ring of Fire. If you notice, the track actually looks a lot like Ring of Fire’s. They’re made by the same company however the way the trains are powered is different. Once the train does a couple of laps, the track begins to rotate horizontally…fast. The combined movement ensures that riders are completely disoriented as well as smacking into each other every 0.5 seconds. I better come clean and say that I’ve never ridden Hi-Roller. I would now, but back when I routinely saw the ride I was just a chicken. I’m not sure how I’d handle the motion though as it seems quite unbearable. Something funny about the ride is that the train doesn’t seem to be counterbalanced with anything. When the train is at the bottom, the motor running the track’s rotation will slow down as it strains to fight the weight. Conversely the rotation will speed up if the load is at the top. This is more apparent when the ride is starting up. Once at full speed, the rotation has enough momentum to keep things going somewhat unabated. After browsing YouTube for various Hi Roller/Crazy Train clips, there’s one thing that’s evident; many of the people have noted that they have ridden it and gotten sick afterwards. In a topic about Hi-Roller over at Matt’s Carnival Warehouse, some posters, many of which work in the carnival industry, compared a ride on Hi-Roller to a car accident. Here’s a video of Crazy Train at the 2010 California State Fair. Video thanks to freeridemtb2. Around 1990, our high school in San Jose CA had a carnival with rides one year. I was really daring, but my best friend was not. The carnival was not doing very good and most of the rides sat there not running for lack of guests. This ride looked like a tame Ring-Of-Fire and I talked him into going on it. We got and and it started going around the track and I was happy that it was slow. But then, all of sudden, the ride did something that I never suspected. The entire track started to rotate! I was extremely scared… Not that I was going to die, but that my friend was going to throw up on me! Some how we made it through, and although I have never seen one of these again I’ve never forgotten it! The jist of this ride as a rider would be best compared to riding in a clothes dryer. The 1 and only time I rode this I was about 5’0″ and 95lbs, when I was 12. Now that I’m 5’9 and over 200 I couldn’t imagine what it’d be like for me. This is actually one of my favorite rides of all time. Underrated ride IMO. I also call it the “clothes dryer” as it feels like you’re being tossed around like a sock in a dryer. The best part of the ride is going around the curves, which have some very strong spinning power that makes you squish the person next to you (or they squish you). You also literally come face to face with the people in the car in front of you. I hate the “2 riders required” rule with this ride. I always have to find someone in line to ride with me. I think I could handle this ride by myself. This ride always makes me laugh hysterically. It’s fun! But once the ride starts you are basically thrown against every surface in there in a pattern, squishing each other. The fun part is that you hit the curve, your cars come face to face and you see the other people thrown up against the side and it just starts a full-out laugh fest. We laughed so hard seeing each others faces on that thing that we had stomach aches when we got off. Definitely go on it, and bring a few buddies so sit in front of you, you won’t regret it! I agree with everyone else’s comments! This is a fun ride that I don’t see around anymore. It’s funny to see it now on a WTCR list because I remember when this ride had first come out and was brand new and nice looking. It was the ride everyone wanted to go on. Many years later I went on one again that I don’t think had been cleaned since it first debuted. The plastic cage windows were all scratched up and you could barely see through them anymore because they were yellowed and filthy. The last time I saw one was at a small travelling carnival. I think it was closed. It looked so old and decrepit I can’t really blame anyone for not wanting to go on it. 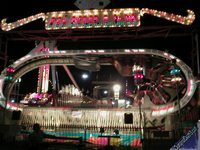 Trust me, you are completely justified in including this ride on the list. The High Roller pretty much defines the term “White Trash Carney Ride.” It combines brutality, claustrophobia, hilarity, and excitement to much the same degree as, although in a distinctly different way than, the Zipper. I actually did ride one of these solo one time and received a merciless pummeling. More recently I rode one with a total stranger (a lady somewhat younger than I) who needed a partner for the operator’s (completely reasonable) two-rider requirement. It was an awkwardly intimate experience, a good first move for a randy teenager but a bad bet for a middle-aged married man. We did our best to avoid one another, but the laws of physics ensure some (and not just a casual) degree of physical contact will occur. Looks like hell, really… I was completely surprised at a funfair during my USA holiday, when this thing just turned! I had the complete “wtf” face on, that’s for sure…. That’s funny Max… I think the same thing about the ride Tagada in Europe. hehe. All great rides though. Hated the ride, threw you around like a rag doll and slammed you into your other passenger in a tiny claustrophobic space. Not even that exciting. The only exciting part was getting off that monstrosity. They have one of these regularly at the Maryland state fair ever year, but I’ve never been daring enough to try it myself. I’ve ridden one of these once – if you ever see me near another, you have my permission to shoot me!! Despite looking intimidating, I always found the courage to ride this when it was prevalent in the 90s. It’s strange how the cars go the same rate of speed no matter how fast the track is revolving. I always wondered how the cars never seem to fall off. 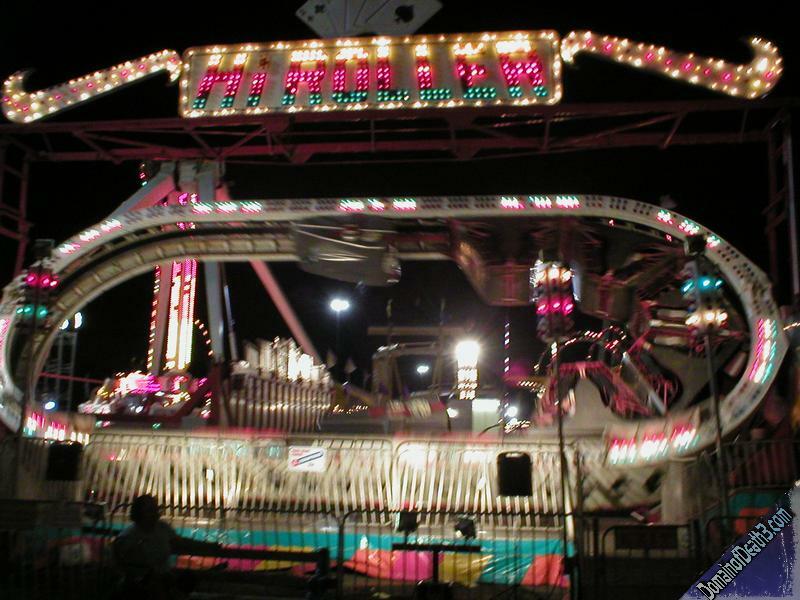 I rode this at the Greeley Stampede in Greeley CO when I was probably 12 or 13 with my best friend. I will never forget the sheer terror we experienced being thrown around in that car. It was a blast until my head hit something sharp in the car. Ended up with a couple stitches but I’d still say it was worth it 15 years later. So much fun.